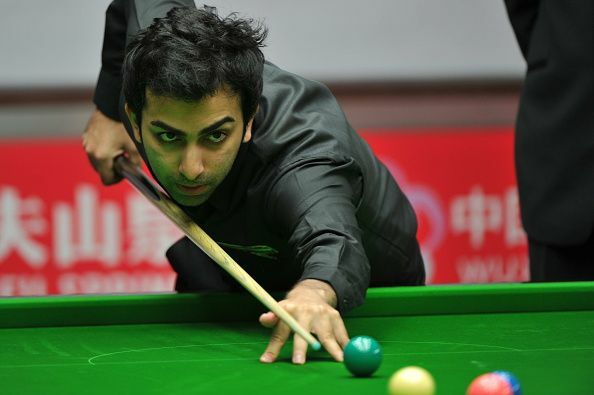 Indian ace Pankaj Advani got off to a stunning start at the 17th Asian Billiards Championship in Yangon as he defeated Singapore’s Yeo Teck Shin 4-0 in the opening match of the men's event. India’s Vidya Pillai and Amee Kamani also managed to win in the Women’s event at the tournament. Advani has won it all on the global stage and showed no signs of slowing down in recent times. The 32-year old Billiards ace has been a guiding light for young Indian Billiards enthusiasts for a long time now. He has won a total of 60 titles throughout his career and has earned himself the nickname ‘ The Golden Boy.’ Advani continued his ruthless form as he ran riot in the opening round of the Men’s event at the ongoing 17th Asian Billiards Championship in Yangon, Myanmar. Advani comfortably swept past Singapore’s Yeo Teck Shin by a scoreline of 4-0 with the help of a 98 break and three consecutive centuries in the best-of-seven 100-up encounter. Advani’s compatriot, Rupesh Shah too came up with a similar win against Indonesia's Marlando Sihombing recording one century and a 53 break. The other Indian participants at the tournament included Nationals runner-up Dhvaj Haria and B Bhaskar. In the Women’s event at the tournament, India's Vidya Pillai and Amee Kamani emerged victorious against Myanmar cueists in the opening round. While Pillai scored a 2-1 win against Thandar Maung, Kamani drifted past Ngwe Hlaing with a 2-0 victory in the league stage. Keerath Bhandaal battled it out with fellow compatriot Varshaa Sanjeev to win 2-1 in a closely fought battle.